You shouldn’t leave a Jaguar oil change to the amateurs, and you can save with maintenance and coupons and auto repair coupons at Jaguar Gulf Coast! We routinely rotate our service specials so that you can make use of everything from brake service coupons to great prices on tire services. Before you schedule your next service appointment in Mobile, do yourself a favor and use our current auto service coupons. Whether you’re on the hunt for oil change specials or auto service coupons, our attentive and highly-trained service department will accommodate you and your Jaguar. Contact us at your convenience to learn more about our available service specials! Get 20% off on any service or repair. Maximum discount $150. Plus tax, if applicable. No cash value. Not valid with any other offers. Jaguar vehicles only. Coupon valid at vehicle check-in. Void where prohibited by law. See dealer for other important details. Offer valid through 01/30/19. Plus tax, if applicable. No cash value. Not valid with any other offers. Jaguar vehicles only. Coupon valid at vehicle check-in. Void where prohibited by law. See dealer for other important details. Offer valid through 01/30/19. Get $35.00 off of an oil and filter change! Service includes up to 8 quarts of motor oil and a new oil filter. Synthetic oil may be slightly higher. Taxes and disposal fees extra, if applicable. 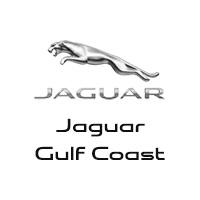 Offer valid only at Jaguar Gulf Coast. Taxes and any applicable environmental fees not included. May not be combined with any other offers or discounts. Must present coupon at time of service write-up. See Service Advisor for restrictions and full details.